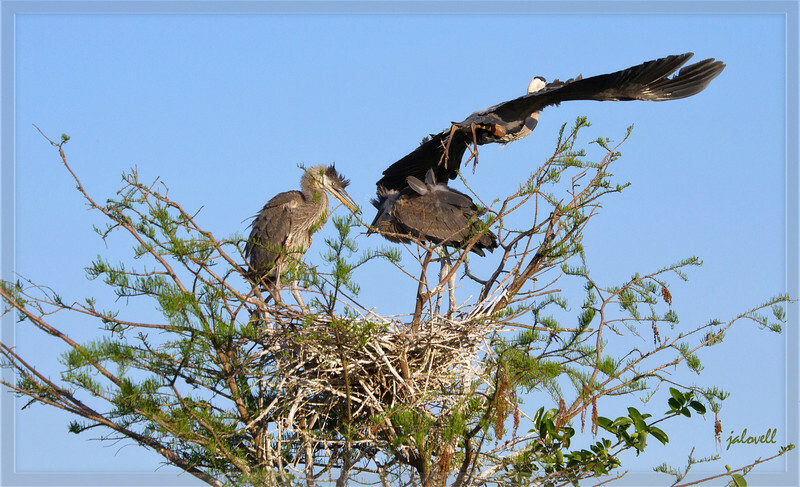 Celebrating the diversity of birdlife which graces the landscape and swamps of Florida! Kids squabble while mom departs - Great Blue Heron nest. Feeding is so strenuous.